Completely Remodeled. Gorgeous Kitchen with Slab Granite, New Cabinets, Custom tile and Backsplash. New Stainless appliances featuring Jenn air Gas slide in range. Beautiful Master Bedroom with Custom Bath and Walk in Closet. Refinished Hardwood floors on Main. Full Bath on Main w/ new tile, vanity and trim. New baseboard, Trim, Doors, and Windows throughout. New Heated/Insulated Sunroom. Beautiful Custom Gas fireplace with artisan tile. 3/4 bath in basement has new tile, Vanity and trim. New Lighting throughout home, New Roof, Newer Electrical panel, switches and outlets, Newer Furnace, Central A/C, New Carpet in Basement. Laudry/utility room 30% finished. New paint inside and out with New Shutters. 2 car oversized tandem garage w/ work bench. RV/Boat parking. Covered patio with gas grill connection. Large back yard for entertaining guests. 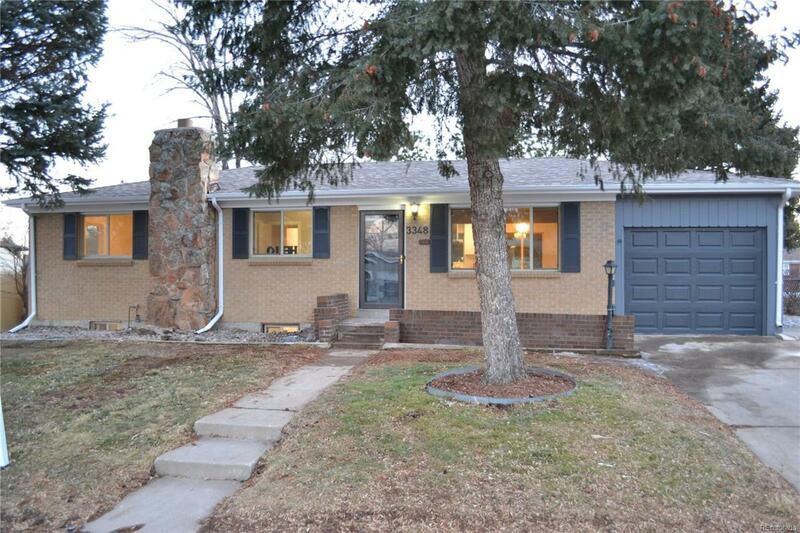 Great Location Close to Belleview Park and Historic Downtown Littleton.